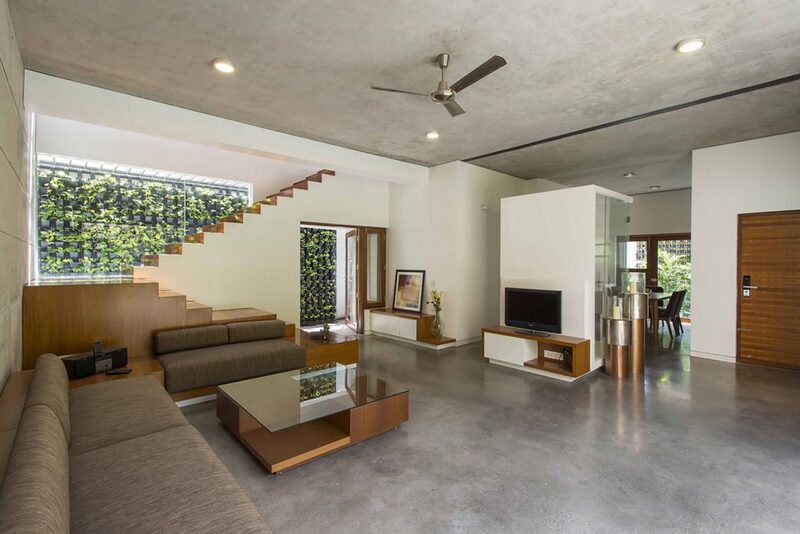 Badri Residence is one fine example of modern Indian house architecture by Architecture Paradigm. 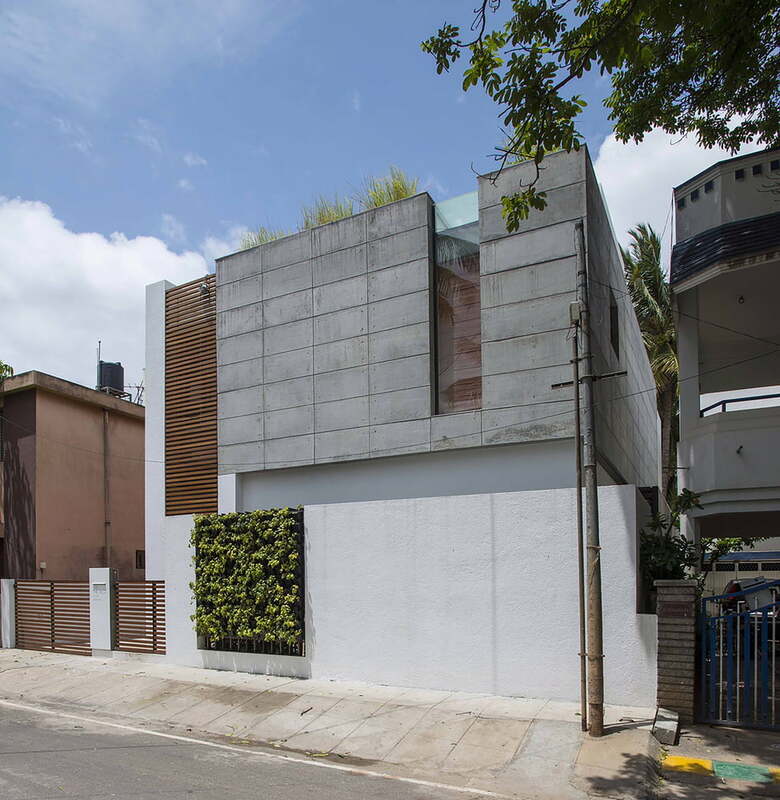 Badri residence is located in Jayanagar, in Bangalore. We get some Vastu Tips from the Indian House Design Plans of Badri House. 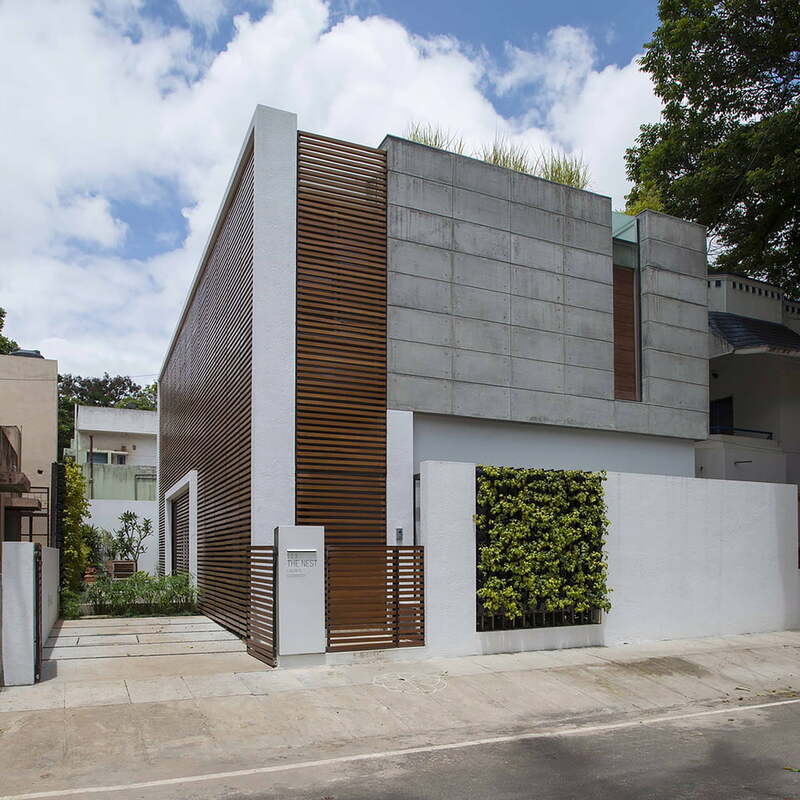 The Badri Residence is designed and develops on the 2400sq.ft. land parcel. The main road is located on the north side of the plot of modern Indian house. 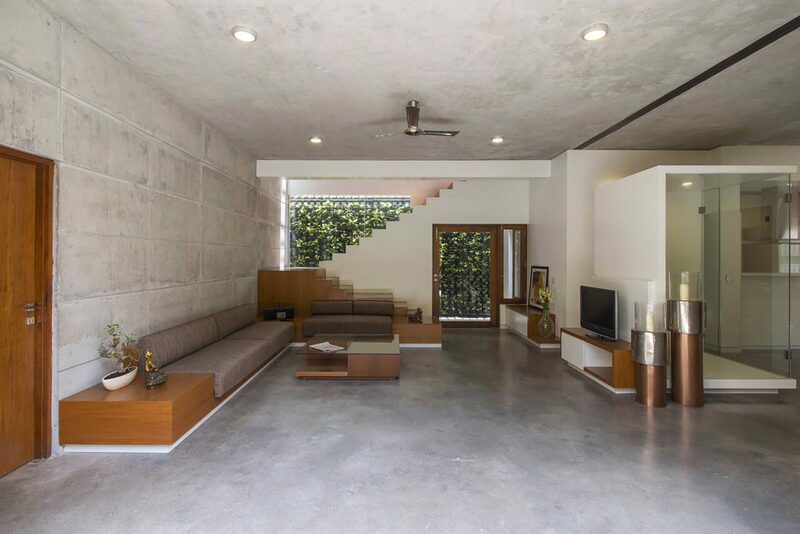 A Modern Indian House Architecture Plans for a business family. And this Indian Business family have members of parents and two daughters. A Modern House Client have a strong belief in the ancient doctrine of Vastu. 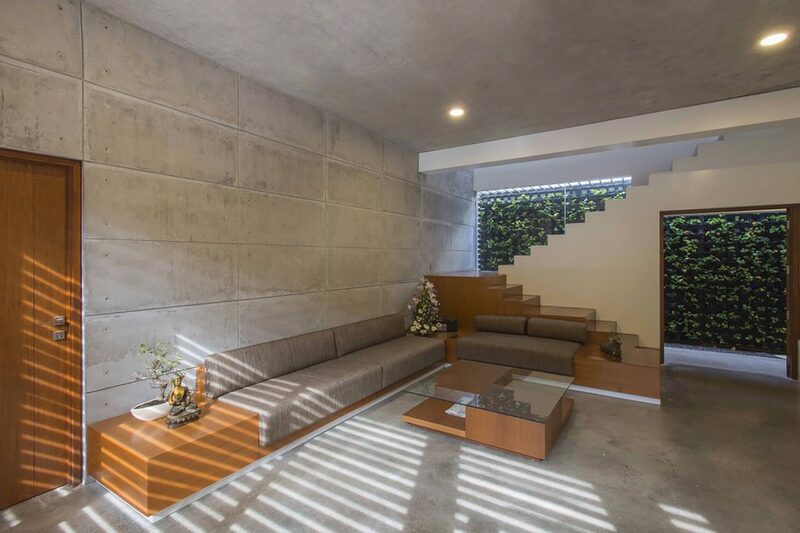 And the vastu play a crucial role in modern Indian house architecture and Planning. Fact File of Modern Indian House Architecture. Location: Bengaluru, Karnataka 560001, India. Design team: Sandeep J, Vimal Jain, Manoj Ladhad, Senthil Kumar and Shreelakshmi. 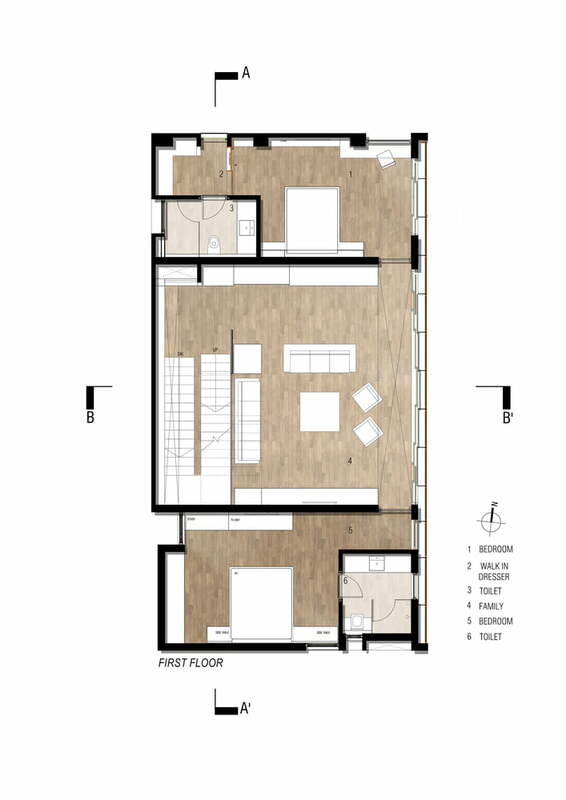 So, as per family requirement, 3 bedroom house plan was work with 3000sq.ft. 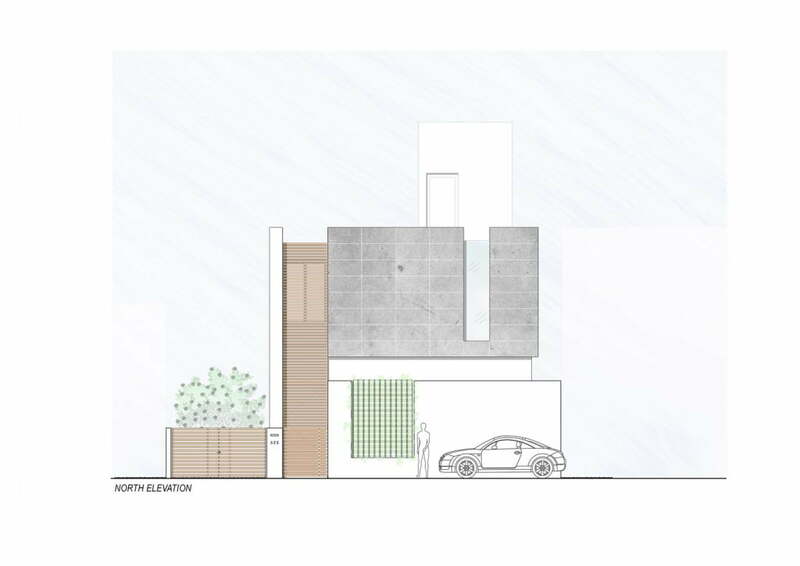 Modern Indian House Architecture and Planning Brief. A Badri House has 3 bedrooms with living room, dining space with kitchen. 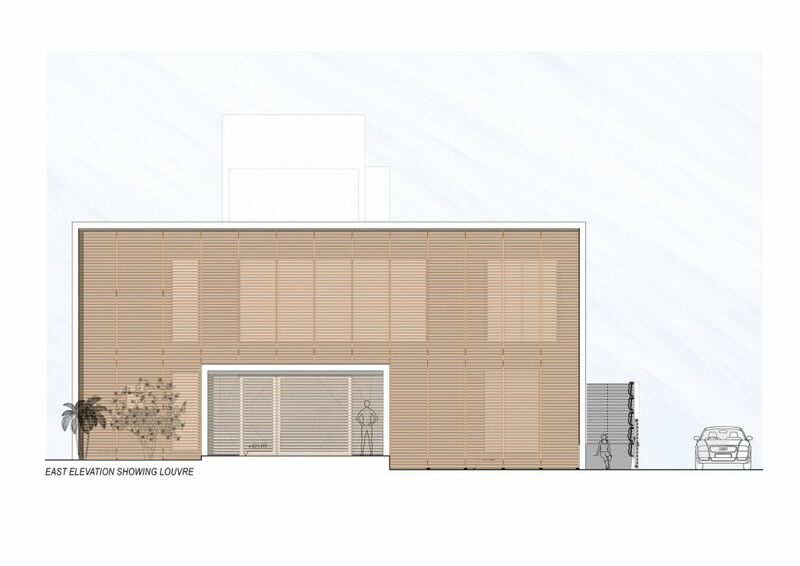 Also, a multipurpose room planned over two level floor plan. With around 1500 sq.ft. carpet area. The two story block was organized more towards the southwestern region to create a linear open space along the eastern edge. 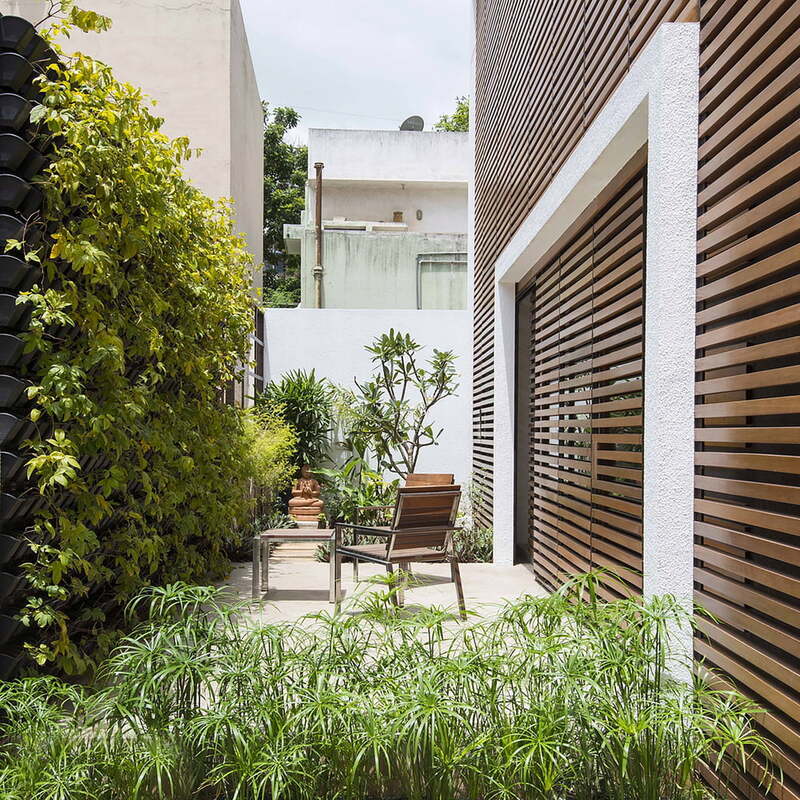 it comprised of a parking space which could double up as outdoor gathering and also a garden. 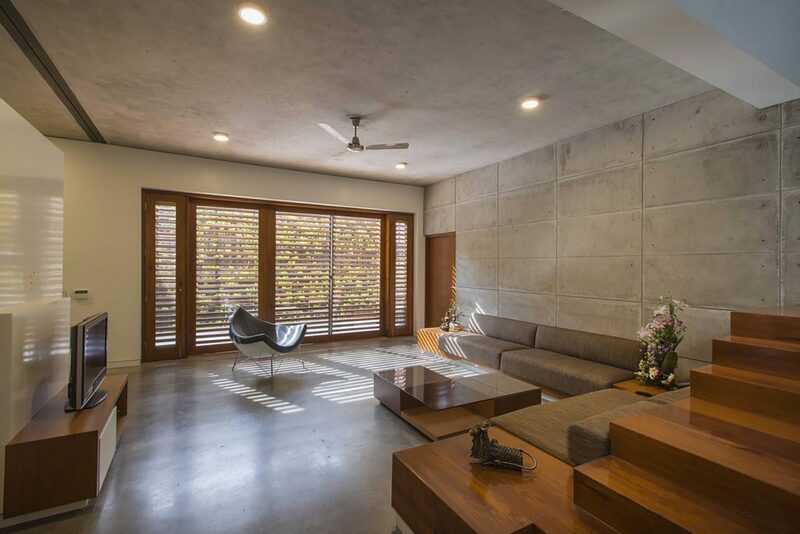 Know more about Indian House Architecture Design. 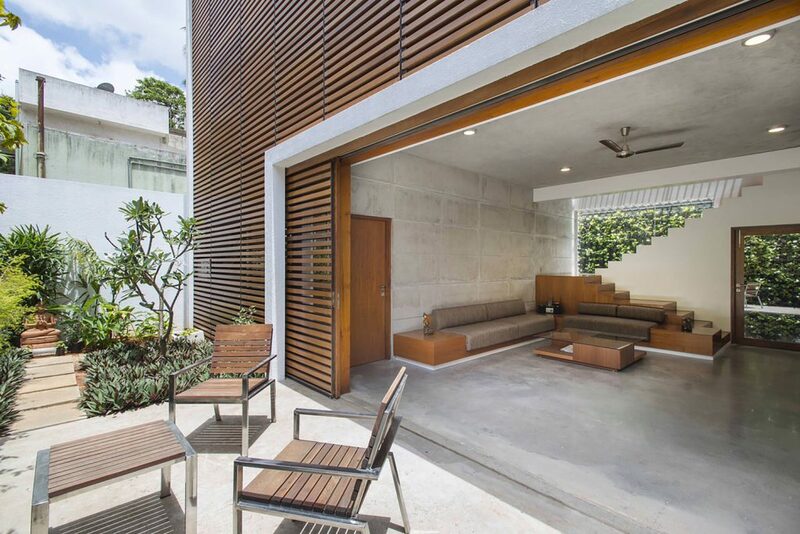 Private Outdoor Courtyard in Modern House Architecture. Balcony Design Ideas For Perfect Outdoor Oasis Of House. 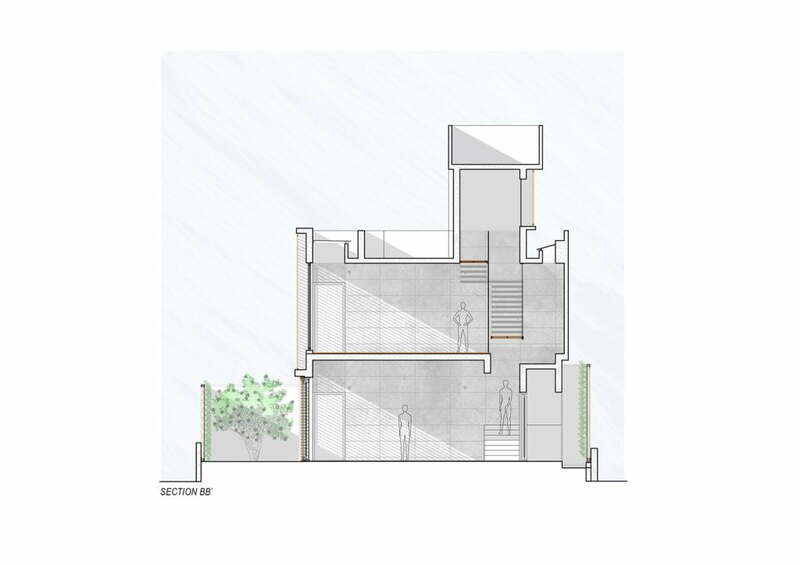 The setback spaces along the other three sides were also seen as extensions of the internal spaces, housing the greens as well as utilitarian spaces. 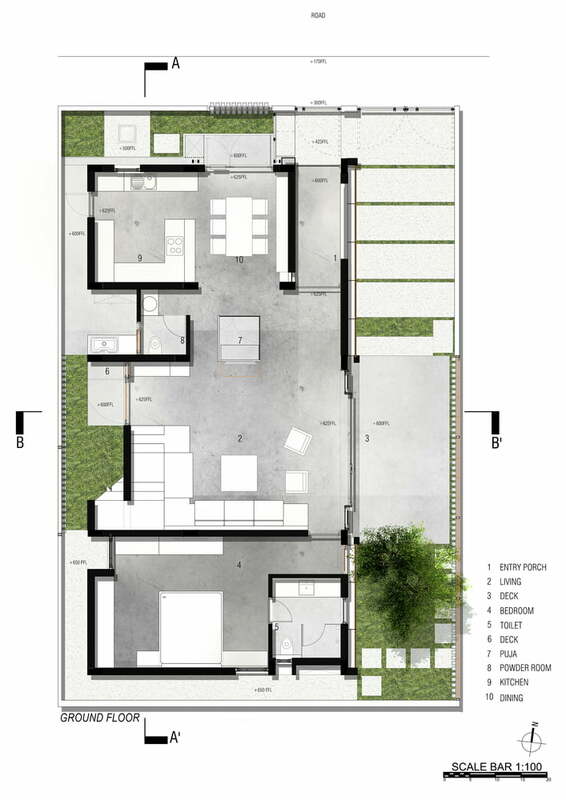 Design Brief of Badri Residence. 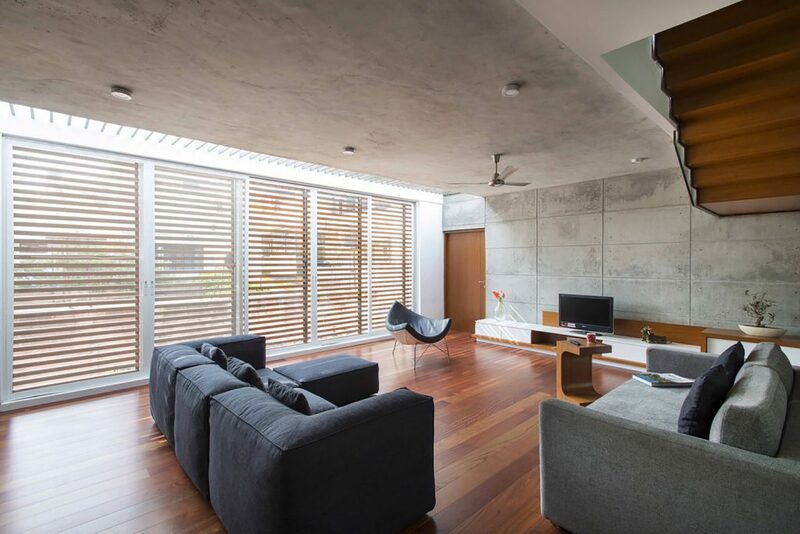 Open aspect of the design relates to their community way of life. Where extended family is supported and is included in much of their rituals and daily life. Pooja room is a critical part of Indian culture, and was seen as a sub-volume located between the living space and dining area. This is help in integrating the entertainment console as a part of the sculptural ensemble of the Pooja room. The stairs to the upper level are organized along the western edge. The staircase is also expressed as a sculptural mass. It is integrating with the furniture of the living space, lending a theatrical quality to space. 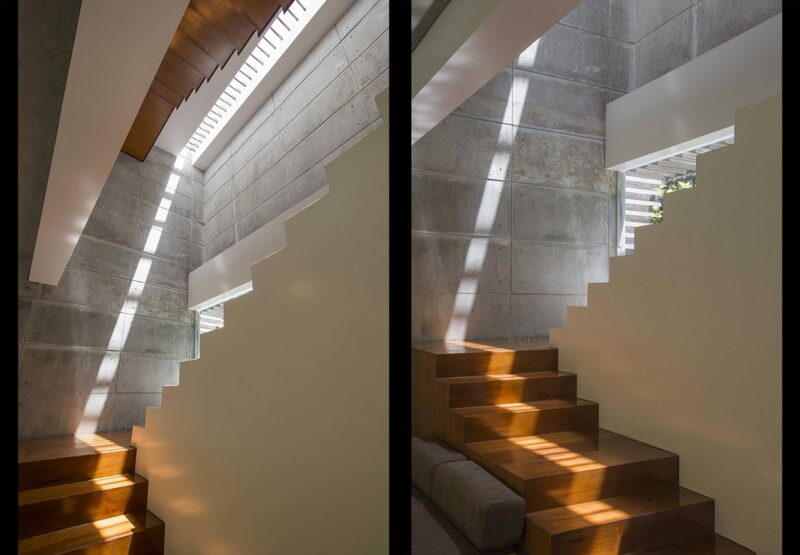 The stairs lead to a large multipurpose family space at the first level. This space is flanked by the bedrooms of the two daughters. The stairs to the terrace are mirrored over the lower stairs. That is creating a column of vertical double height space linking the two levels. 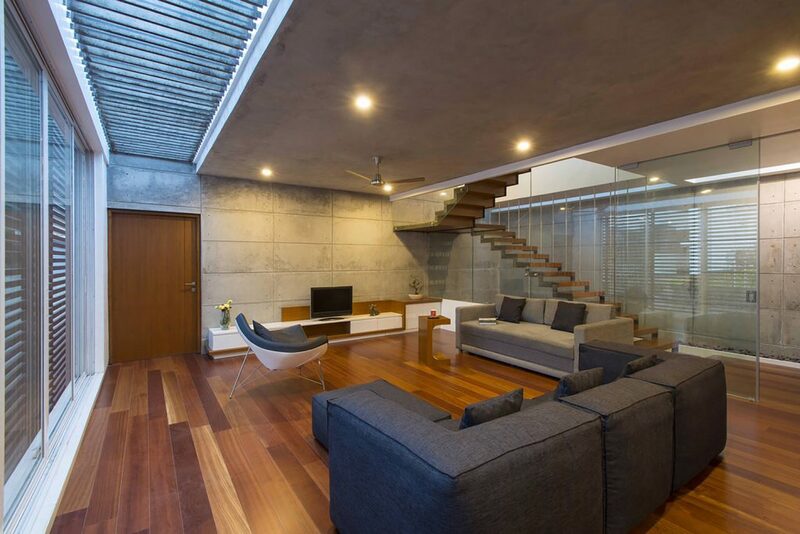 Skylight Element in Staircase Design. 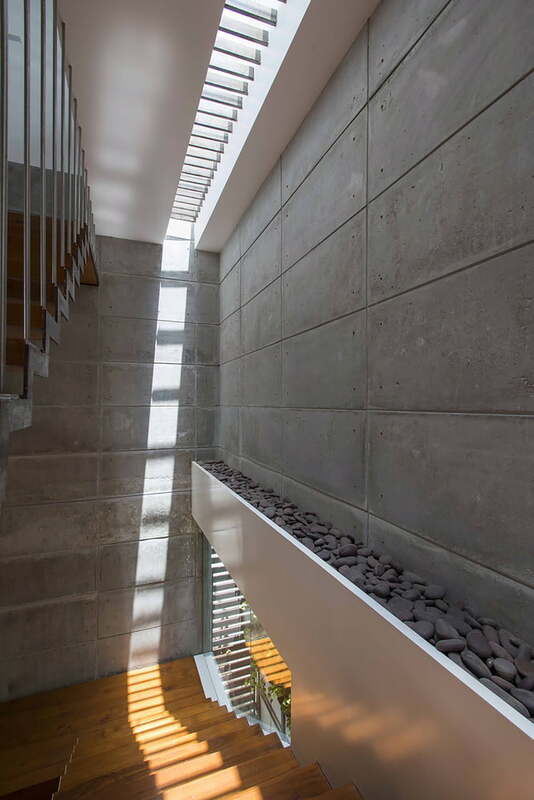 Natural Light cutting through a linear strip of the skylight, along the western edge, animates this volume. The illuminated surface is visible from the ground. 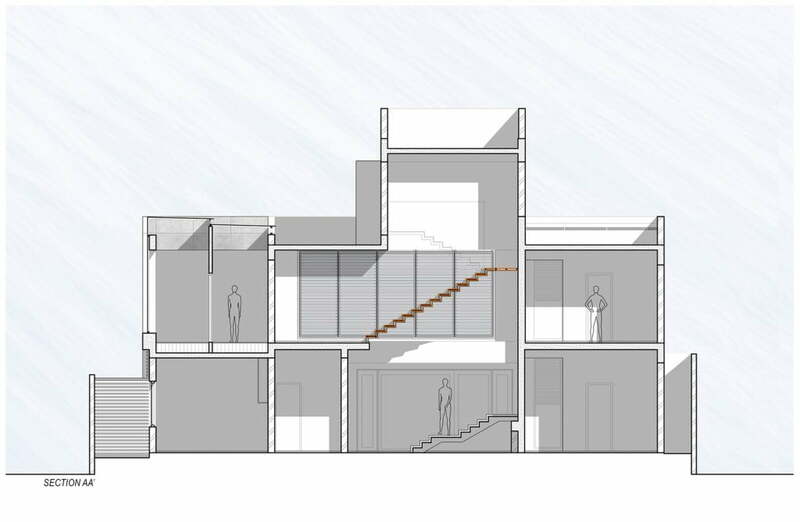 It is suggesting subtly the continuum of the spaces to upper private spaces. 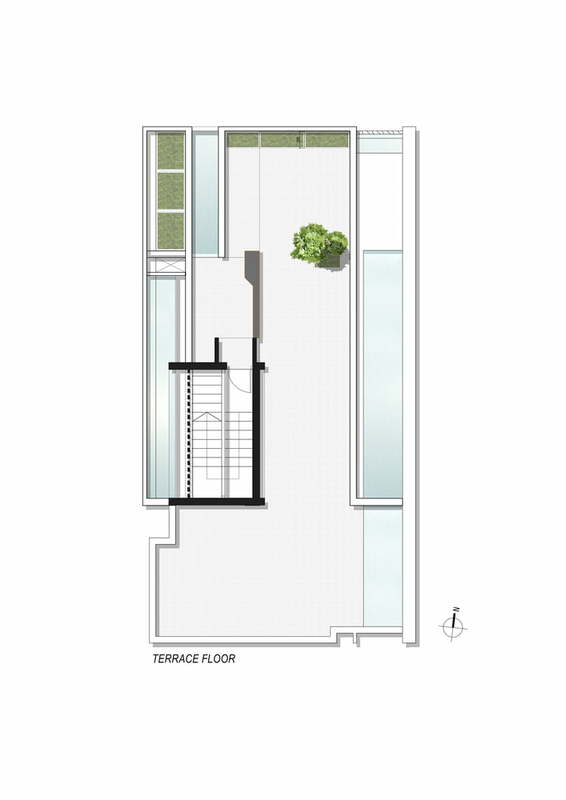 The terrace also provides space for gathering and also housing utilities. Constriction Detail of A Modern Indian House Architecture. The resulting form basically cuboids, owing to the geometry maintains a quiet. But a stoic presence on the street, reinforcing the notion of a refuge from the busyness of the city. The east facing surface of the volume is expressed as detaching itself from the main body. In an attempt to redirect connection, towards the eastern stretch of open space rather than the road in front. The fracture or the separation facilitates entry into the house. That allows for the creation of the skylight animating the multipurpose room. and the toilets at the upper level. 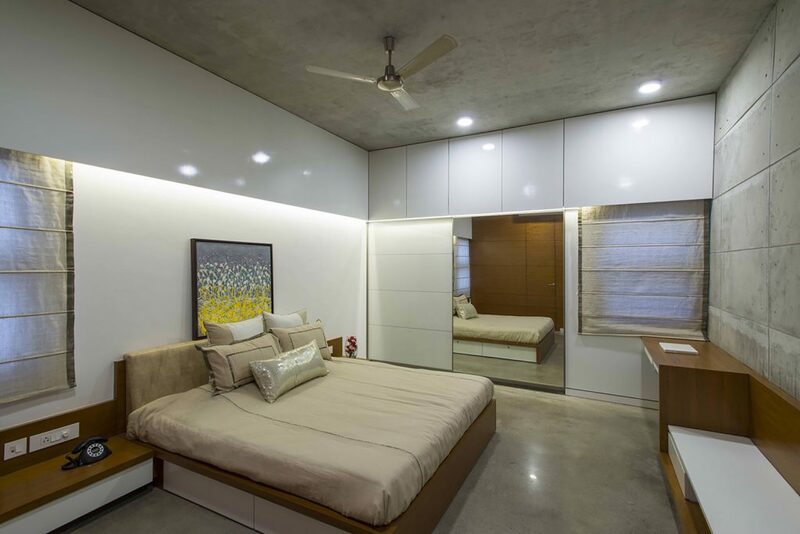 Modern Material Exploration in Badri House. 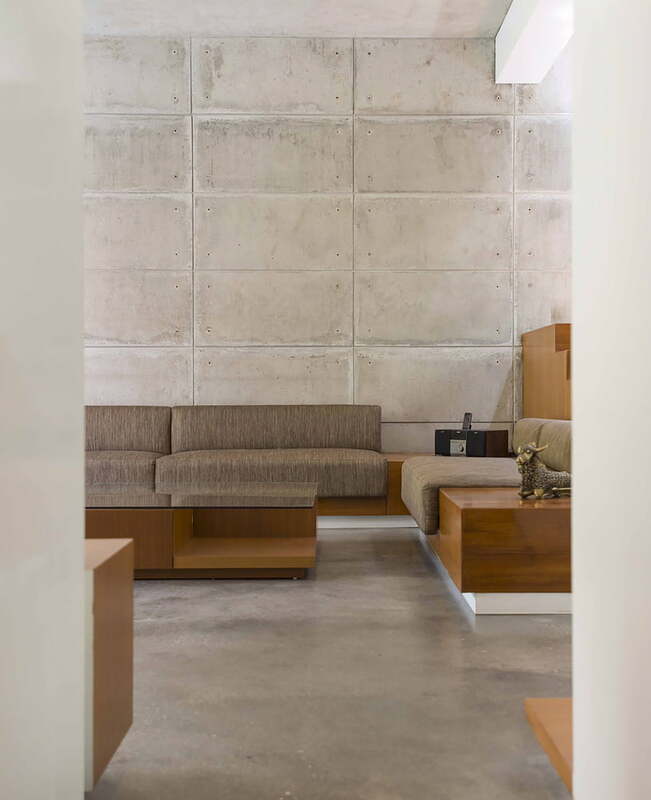 The idea of refuge fueled the idea of cast concrete structure, with the material adding to the tactile quality of space. 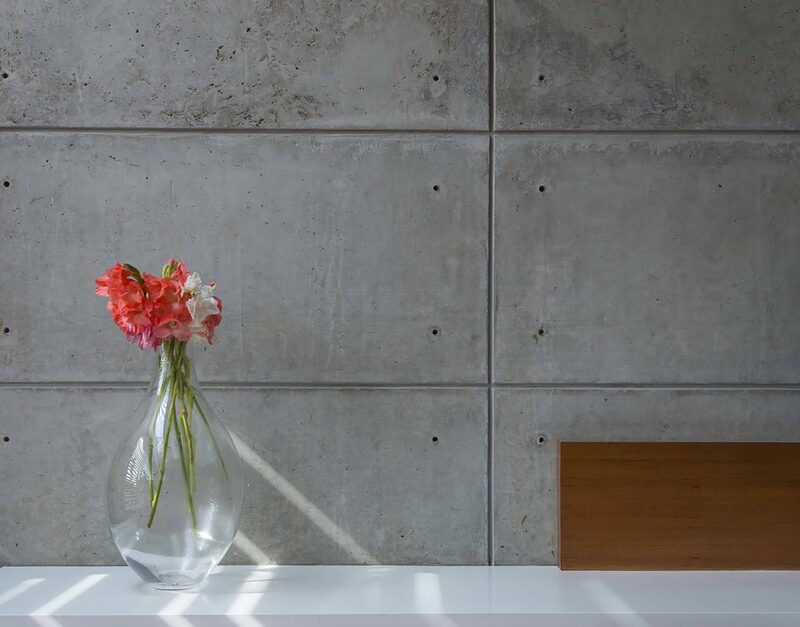 Strategically, this concrete armature is punctuated, with softer plastered masonry. 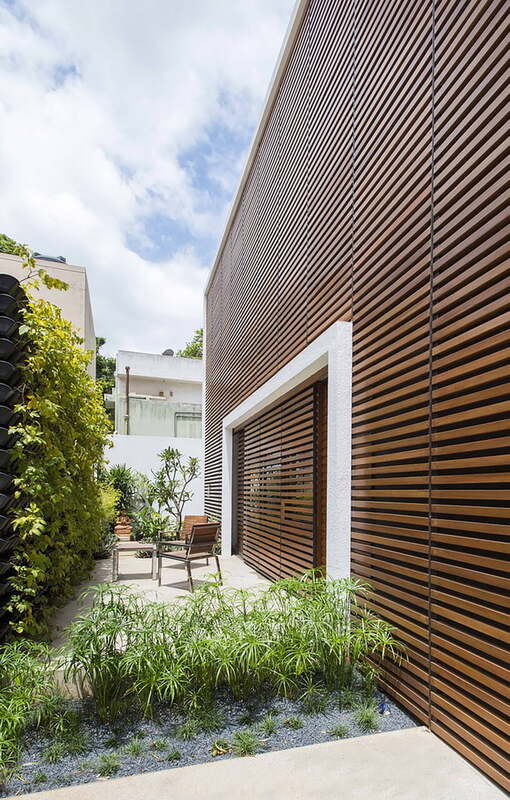 Wood surfaces, windows and openings hidden behind timber screens. Lending privacy and also controlling the amount of light. 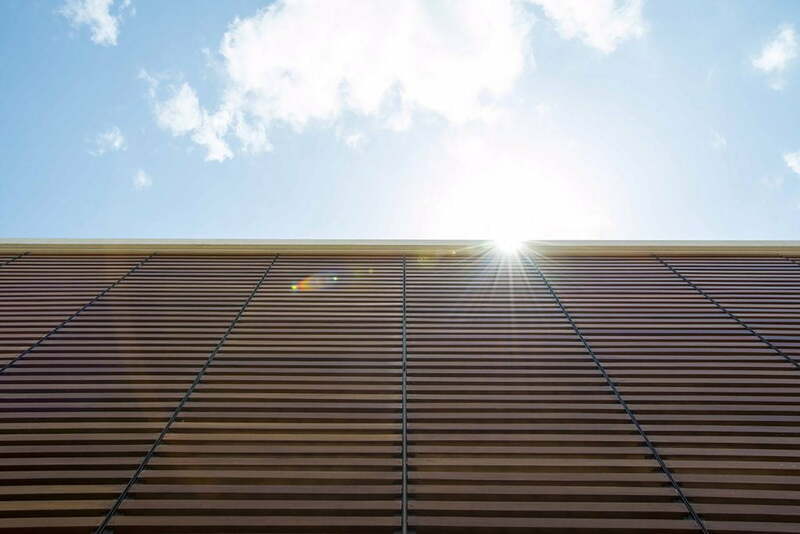 Daylight coming through the various apertures, of this layered envelope is seen as a crucial factor. Animating the interior spaces and surfaces. Modern House Design Ideas for You. 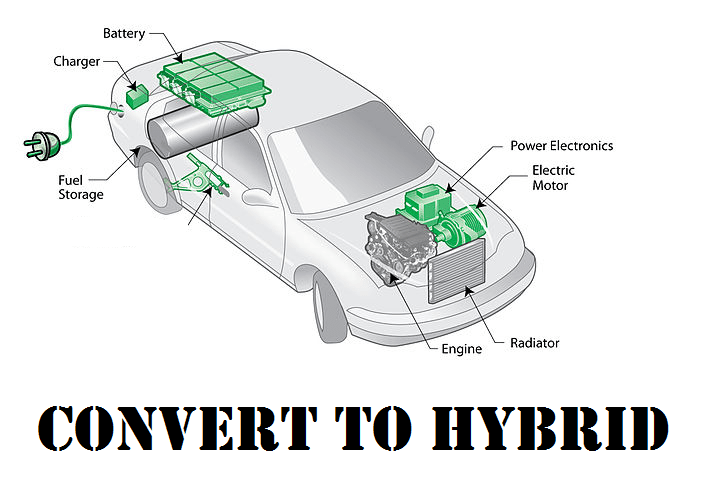 How to Make Environmentally Friendly House Design Ideas Plans. 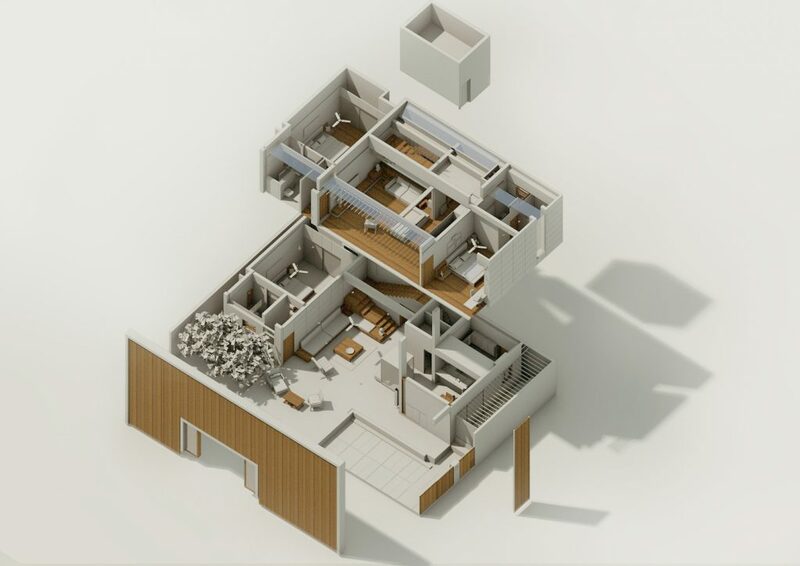 Modern House Architecture in Geometric Shape and Figure. 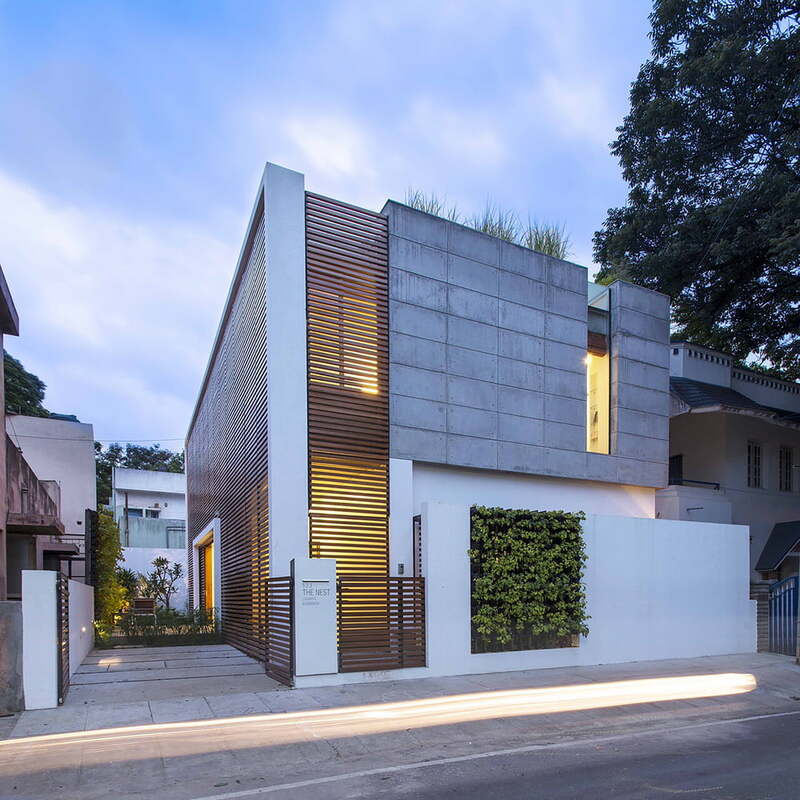 Modern House Design in Ribbon Shape Elevation Facade in Flexhouse. The landscape is seen as a vital part of this layering system. 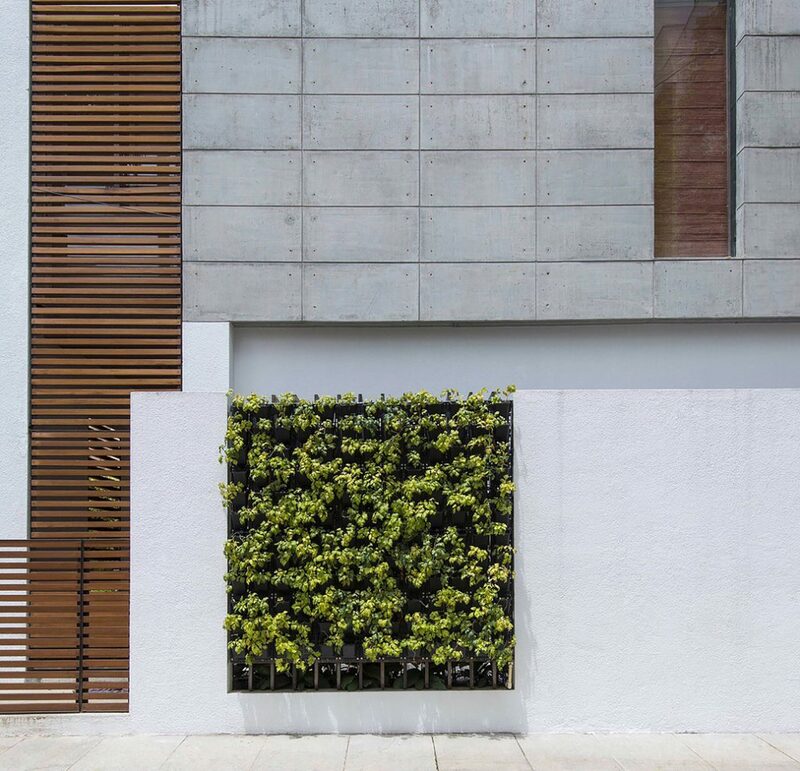 Here green walls help in defining envelopes. where it adds to the human experience intended. Have threads on it, share with us.